It must have seemed like the perfect time for this movie. 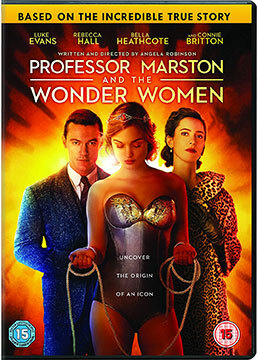 Coming just after the huge success of the Wonder Woman movie, Professor Marston And The Wonder Women explores the birth of the character. However, despite some decent reviews it didn’t make much of a dent at the box office and got none of the award love it was probably hoping for. Permission Trailer – Rebecca Hall & Dan Stevens open up their relationship in the gay-themed film! Although it’s tough to imagine ever getting bored of sleeping with Dan Stevens, that’s kind of the premise of Permission. Or rather, it’s about a couple who begin to wonder if they’re missing out because they’re the only people either has ever been with. While Stevens and Rebecca Hall have been together for a long time and are about to get engaged, her brother (David Joseph Craig), suggests maybe they should at least try other people so they know they other really is ‘the one’. That leads them to experiment with other people, and as you might expect, as bit of polyamory proves more complicated for their relationship than they expected. Her brother meanwhile is considering whether his long-term relationship with his boyfriend is ready for them to become parents. As the new trailer shows, it’s a film looking at the complexities of all kinds of relationships, irrespective of what genders are involved. At one point, The Dinner was going to be Cate Blanchett’s feature directorial debut, with Oren Moverman on scripting duties. However, she moved on and the adaptation of Herman Koch’s novel saw Moverman shift into the director’s chair. He’s an interesting choice, having written movies such as I’m Not There and directed The Messenger and Rampart. Over the years there have been a few cases where someone has committed suicide live on air. The most famous cases are probably Bud Dwyer and Christine Chubbuck. Antonio Campos (Simon Killer) has taken on the latter story with Christine, which got tremendous reviews when it debuted as Sundance earlier this year. Here’s the synopsis: ‘Rebecca Hall stars in director Antonio Campos’ third feature film, CHRISTINE, the story of a woman who finds herself caught in the crosshairs of a spiraling personal life and career crisis. Christine, always the smartest person in the room at her local Sarasota, Florida news station, feels like she is destined for bigger things and is relentless in her pursuit of an on-air position in a larger market. As an aspiring newswoman with an eye for nuance and an interest in social justice, she finds herself constantly butting heads with her boss (Tracy Letts), who pushes for juicier stories that will drive up ratings. While he’s gotten close, Jason Sudeikis hasn’t quite broken out as a fullon movie star yet, but he’s certainly got the potential. Now he’s heading into rom-com territory for Tumbledown, alongside Rebecca Hall. Now they trailer has arrived, which you can take a look at below. It’ll be in US cinemas on February 12th, but no UK is currently set. While Jason Bateman is best known for comedy, he’s getting into horror-thriller territory for The Gift. Here’s the synopsis: ‘Can you really go through life having never wronged anyone? Even if you are unaware of how, or when, and even who you may have wronged….chances are there is someone out there who won’t ever forget it…or you. ‘Simon (Jason Bateman) and Robyn (Rebecca Hall) are a young married couple whose life is going just as planned until a chance encounter with an acquaintance from Simon’s high school sends their world into a harrowing tailspin. Simon doesn’t recognize Gordo (Joel Edgerton) at first, but after a seemingly coincidental series of encounters proves troubling, a horrifying secret from their past is uncovered after nearly 20 years. As Robyn learns the unsettling truth about what happened between Simon and Gordo, she starts to question: how well do we really know the people closest to us, and are past bygones ever really bygones? It’s always a shame when a movie that wants to be a genuinely intelligent slice of a-list entertainment fails. If one succeeds, Hollywood always treats it like a fluke, but if it bombs they point at it as proof that all that audiences want are big, dumb fireworks. 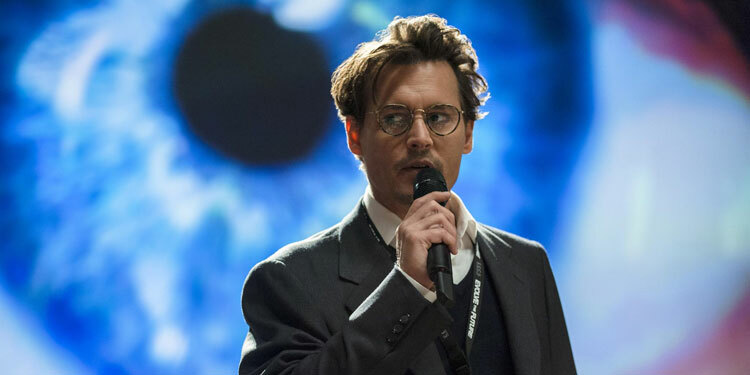 What’s a particular pity with Transcendence is that it would probably have been better as a slightly smaller film. 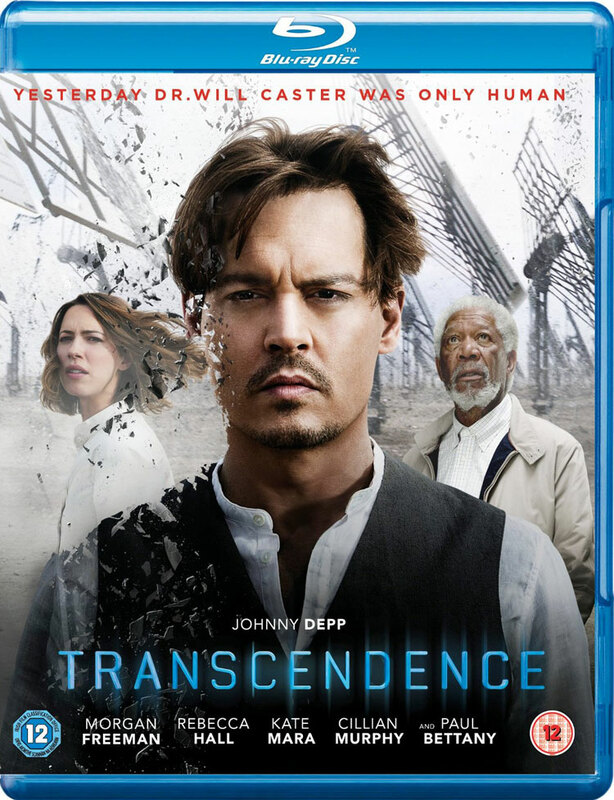 In a couple of months we’ll get to see the very intriguing looking Transcendence. After a poster yesterday comes a fresh trailer with plenty of new footage from the Johnny Depp sci-fi. And if it also brings to mind Inception, it’s probably little coincidence this is the directorial debut of that movie’s cinematographer, Wally Pfister. It’s Harry Potter meets Game Of Thrones, with Alan Rickman and Richard Madden starring in A Promise, alongside Rebecca Hall. Now a trailer has arrived, which is in English with French subtitles. Here’s the synopsis: ‘Set in pre-First World War Germany, Patrice Leconte’s venture into English-language filmmaking chronicles the simmering love triangle between an ailing factory owner (Alan Rickman), his young bride (Rebecca Hall) and his protégé (Richard Madden). ‘Stefan Zweig’s novel Journey into the Past, set in pre-First World War Germany, provides the inspiration for Patrice Leconte’s venture into English-language production. Employing his by-now familiar style, Leconte, a master of the unexpected, finds a simmering romance within the pages of Zweig’s book, and uses its slow heat to powerful effect. But A Promise is no bodice-ripper. 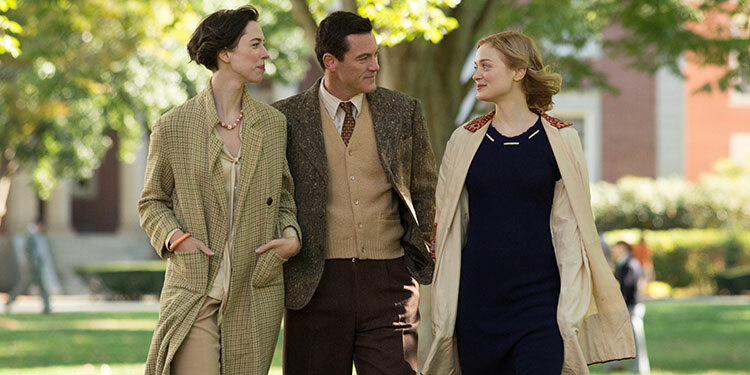 It is an elegantly directed, keenly modulated love story. ‘Hoffmeister (Alan Rickman) is an ailing factory owner, whiskered and respectable. As his energies flag, he looks to a sharp young man in his employ for help. Ludwig (Richard Madden) impresses Hoffmeister with his reliability and youthful spirit, and the older man finds himself leaning more and more on this promising up-and-comer. At the same time, Hoffmeister’s young bride (Rebecca Hall) is looking for a tutor for their child, and Ludwig proves both flexible and willing. When he moves into their home, an emotional triangle develops. Societal dignity and decorum must be respected, and it is. Nevertheless, heated passions come into play, while Hoffmeister looks on. Transcendence always sounded pretty intriguing, but this trailer suggests we could be dealing with something very cool, even if there is a slight whiff of the 1980s around a film about a computer that gets too smart for its own good.